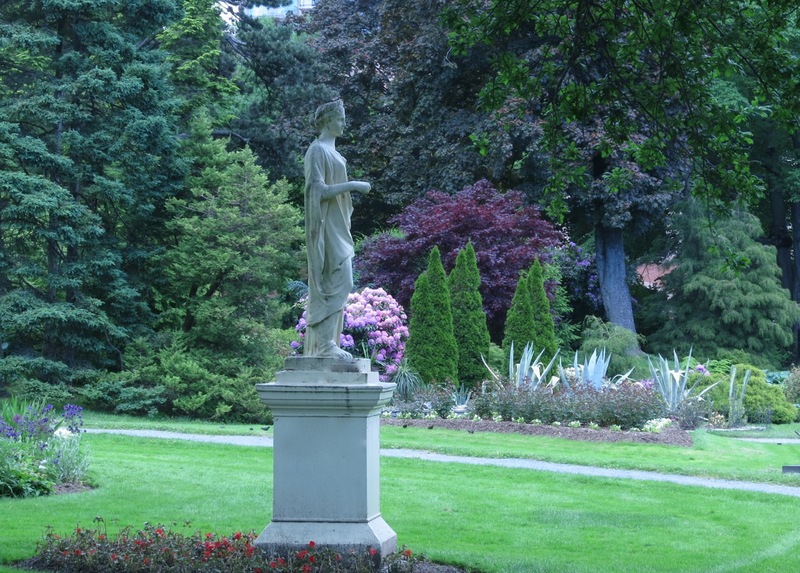 What do the Halifax Public Gardens mean to you? I often get comments on our Facebook page about how much the individuals love the Gardens and why. Many are ex-residents who now live far away and love the photo’s I post because it brings back their past: eating ice cream as a child, being proposed to, spending time with their parents or escaping into the serenity of the place to find some peace in a turbulent time of their lives. Share your memories with us. You can do so by commenting here or on our Facebook page. This will probably be my favorite picture this year. 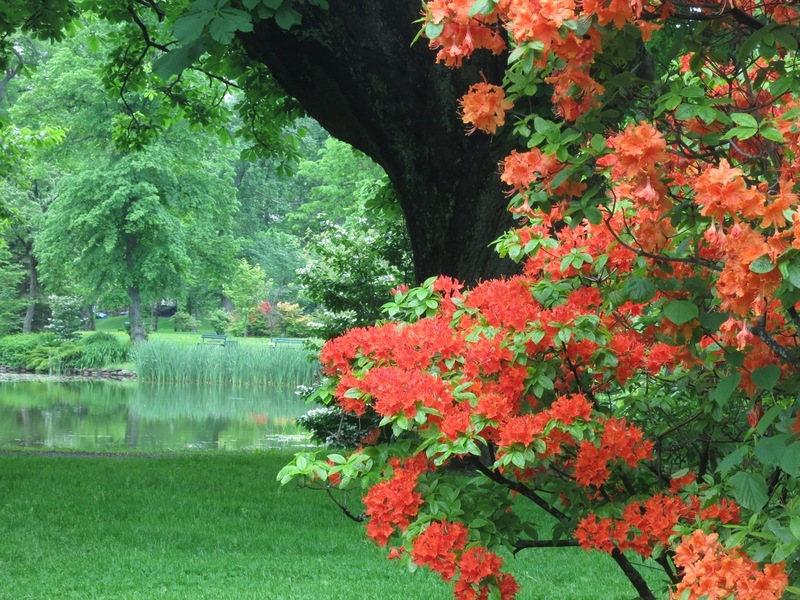 The reeds rising and being reflected in the water look like a waterfall, and the contrast between the soft green, the bold orange Azaleas and the dark trunk of a stately tree are very powerful. Water is a very reflective element, both literally and figuratively. What a wonderful place to grow up. 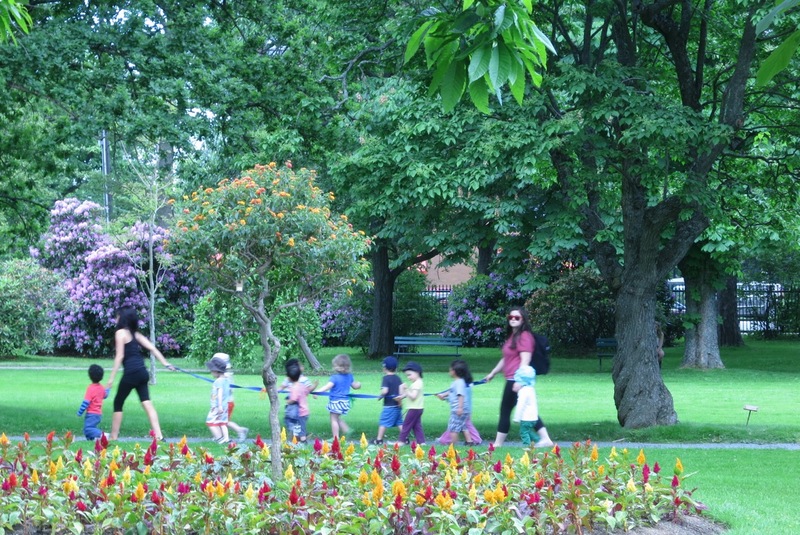 My bet is that the children who spend a lot of time in the Gardens will take their love of nature with them throughout their lives. How many graduates have stood in this same spot, with their families and friends around them? Filled with hope and relief. It seems like only yesterday that my daughter stood in this very spot. 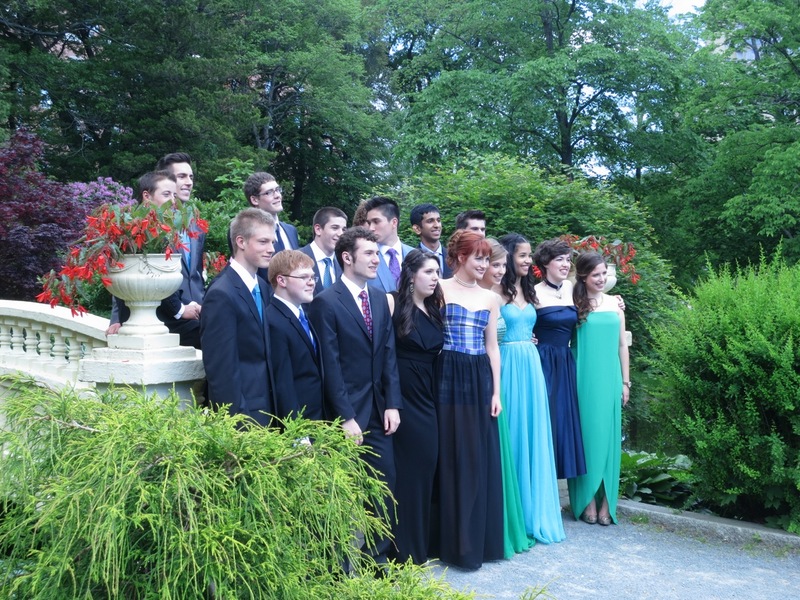 Photographing these graduates took me back 5 years and for a moment, every cell in my body was young(er) again. Even a trip to the loo is a lovely journey. Hey Bev! I found a way to maintain the statues cheaply. It’s called ‘retouch’ and with a swipe of the mouse the pealing paint disappears. If only it were so easy! This is how this gentleman spends his time in the Gardens. He wasn’t trying to make money, there was no bowl in sight. 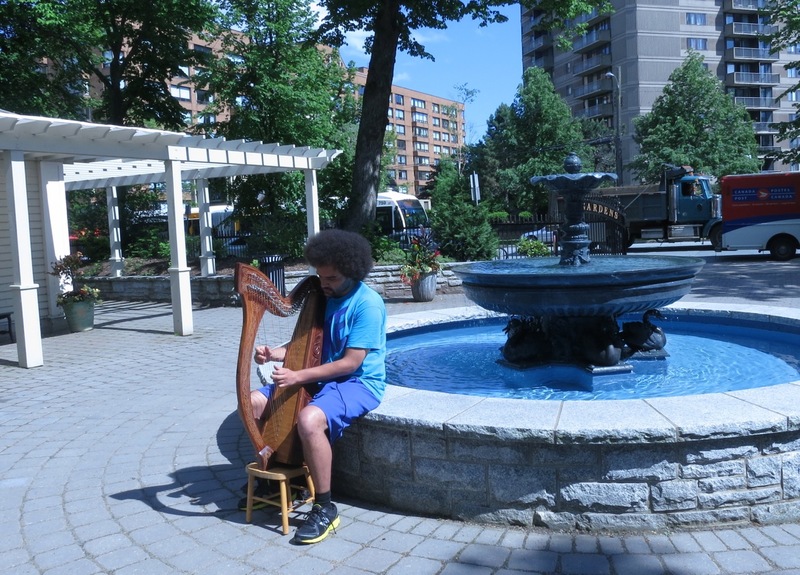 I think he was looking for the tinkling sound of the fountain to accompany his harp. It was lovely and as I often say… the best things in life are free… and serendipitous. 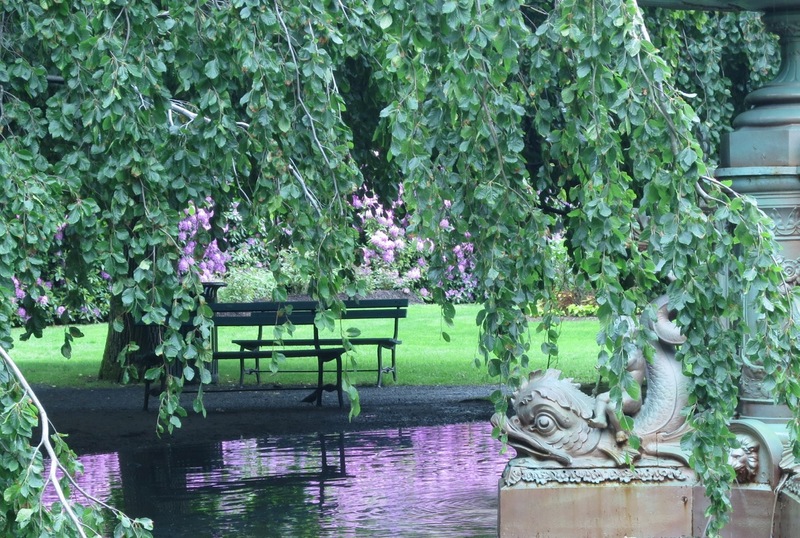 Last week the Gardens held a special event to celebrate Canada’s first Garden Day. 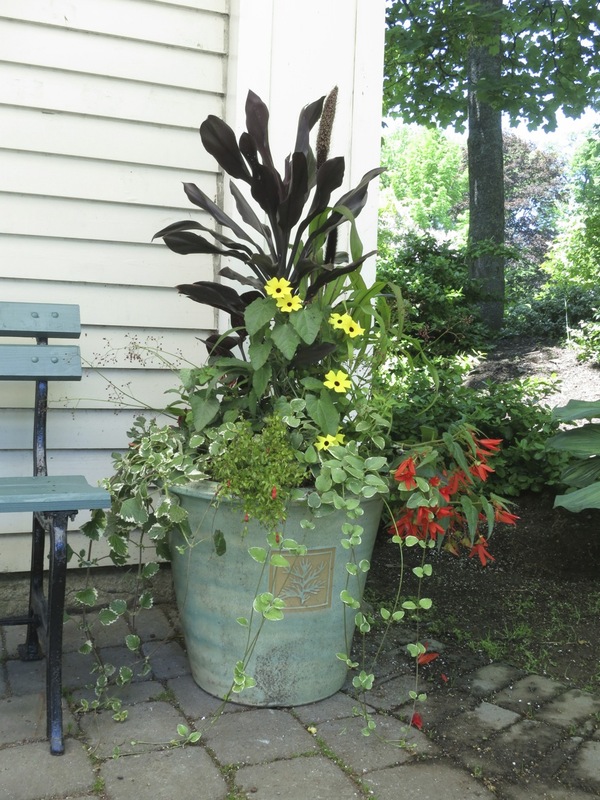 Four celebrity gardeners were invited to indulge their creativity by designing planters using a combination of plants provided. 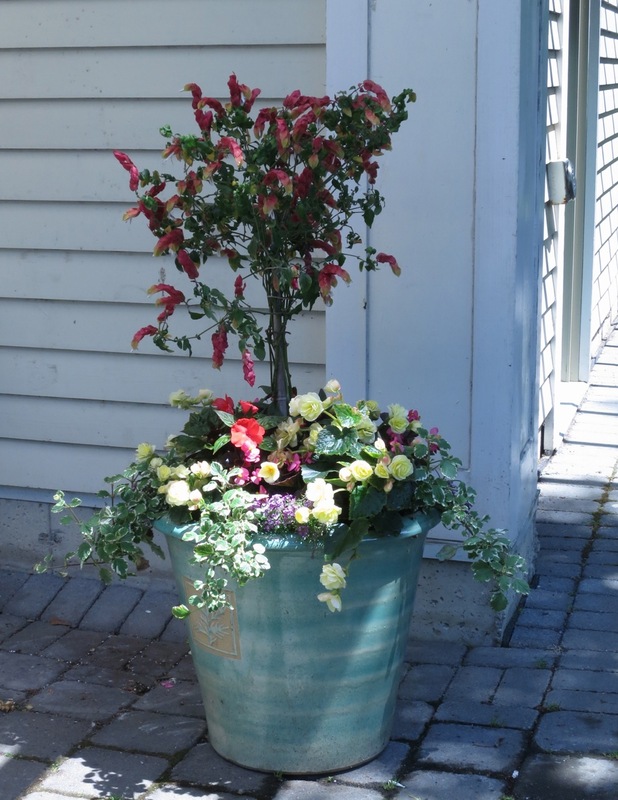 They were given the same base plants and could pick plants from a ‘wildcard’ table to express their artistry. The very entertaining Neville MacKay played host. 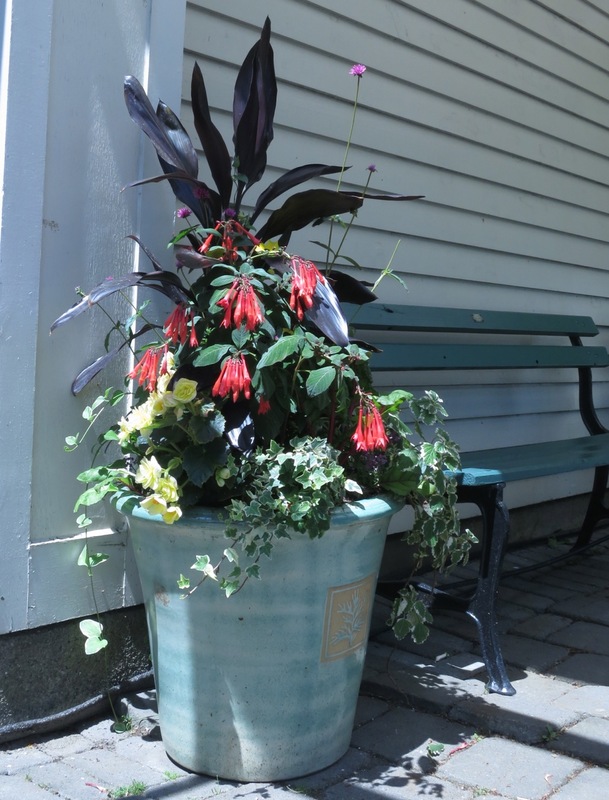 The planters will reside at Horticultural Hall Plaza for the season. You get to vote for the winner. So pick your favorite and follow this link to cast your vote. 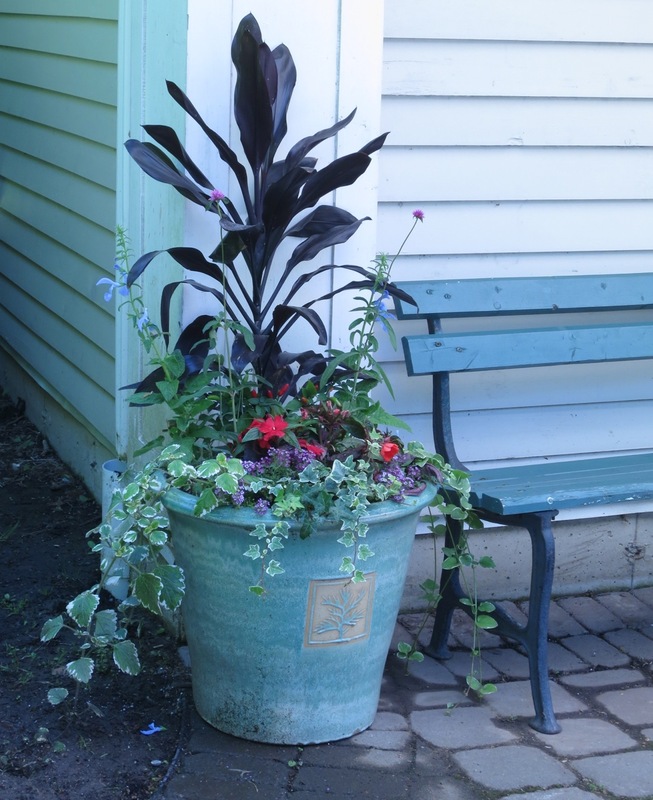 The link also has photo’s of the planters just in case I didn’t get the “good’ side. 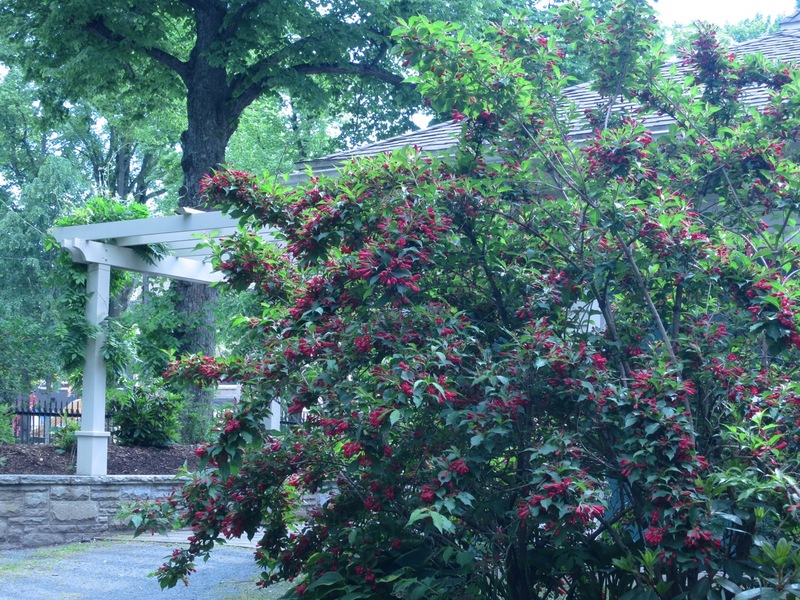 The beauty of the Gardens is always uplifting. Being surrounded by nature and knowing that we share a deep sense of appreciation with our fellow visitors, tears down boundaries and makes us part of a community. A community which has continued for over 173 years. This entry was posted in Halifax Public Gardens, photo tour, Special Event, Spring and tagged and upper bridge., Griffin's pond, Halifax public gardens by friendsblog5665. Bookmark the permalink.